Give your child the gift of Animal Tales! 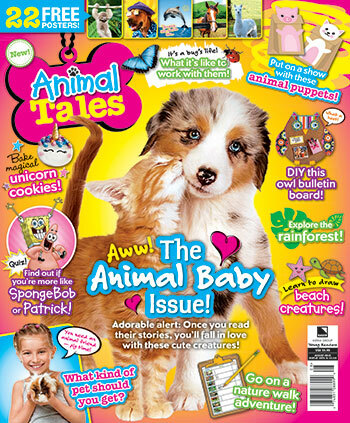 They will love receiving each issue in the mail and you'll be happy your child is reading a magazine you can trust! Please enter your birth date to start the subscription process. *The Children's Online Privacy Protection Act (COPPA) requires that we ask for your birth date. We do not save this information. Please enter the date carefully. If you make a mistake, we may be unable to process your request.